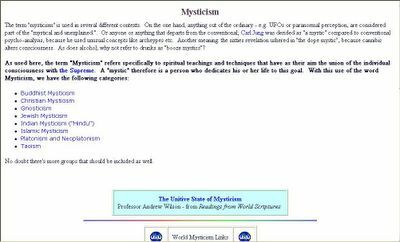 Mysticism has no distinction. Be it Buddhist, Christian, Gnostic, India, Jewish Kabblistic, Islamic, Taoist, Neoplatonistic Mysticism... all are same. This site is an introductory to great mystic text from all sources.